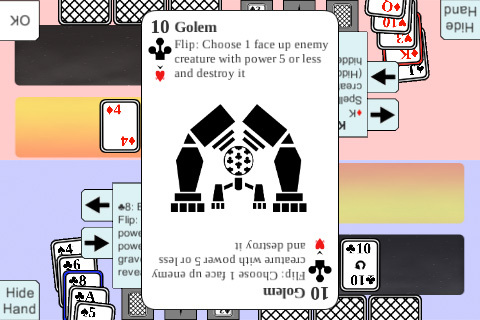 I realized I had to make a confirmation button when a card does an ability, because at the moment it just happens and players will probably have no idea what happened. I used the same confirmation mechanic as the spells which is working in the screenshot…. but everything afterwards seems to be messed up. What’s next: fixing the bugs that came from this change before moving to the animation.